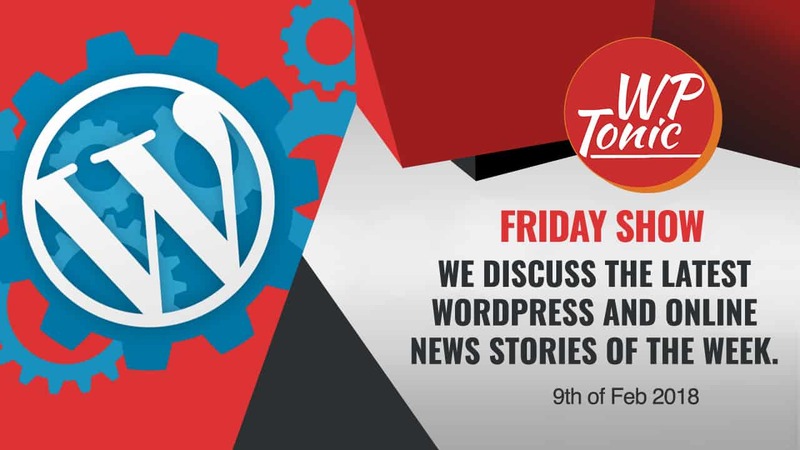 This week on Episode 266 of the WP-Tonic Podcast Sallie Goetsch, Chris Badgett, Adam Preiser, and John Locke joined host Jonathan Denwood to discuss several recent stories in the WordPress and online community. Featured stories included the latest update of WordPress 4.9.4 released to fix the auto update feature that was broken in 4.9.3, a proposal to stop configuring WordCamps in a track format to allow more interaction of diverse users, Five reasons people redesign their websites, 2017 in review by Delicious Brains, and a public service announcement explaining Google’s latest declaration that all sites need to be using an SSL certificate by summer 2018. Article 1 covered the almost immediate release of WordPress 4.9.4 right after 4.9.3 because the recent release of 4.9.3 broke the auto update option. All software has bugs. Not sure if it was because they were pressed for time. The key is that sometimes as you roll it out something else breaks. It’s a testing issue and testing can always get better. Story 2 was about ditching WordCamp tracks. This author proposes stopping the practice of having multiple tracks at WordCamps in order to make it easier for attendees to get the information you need. Story 3 covers the Top 5 Reasons for Website Redesign. This one was written by our own roundtable member John Locke. As a web developer, these are the 5 Top Reason he has seen for people redesigning their site. 1) They want more business. 2) Their website looks outdated. 3) People like their target customers or team aren’t using the site. 4) They have features they have been waiting to add and have been waiting on it. 5) No one has updated the site because it’s too hard to use. They pointed out it is actually a mixture of those, and that increasing revenue is almost always part of it. Similar to our earlier covering of Pippin Williams 2017 review, the team discussed the overall popularity of providing annual reviews along with the discussion on the company’s specific 2017 experience. Story 5 Google said you have to have an SSL Certificate by the summer. Insecure website shows in Chrome. The team also pointed out that when it’s a WordPress website, you must make sure that you do it properly or you can break your site.